Why Do I need Floor Plans? If there is something that real estate buyers really look for apart from the images of actual property, it is the floor plans. Agreed that the property images whet the buyer's appetite to some extent, but actual information like the size of rooms, how the rooms are laid out in a plan, how living spaces interconnect with each other, etc. is conveyed only through elaborate floor plans. While technology has advanced rapidly in the recent years, making it possible for real estate agents and marketing professionals to provide different details to their prospects online, there is always something missing - an actual look at the layout and dimensions of a home. Your real estate website may have actual pictures of the bedrooms, living area, kitchen, garage, gardens, etc., but it will still be incomplete without the floor plan images. Moreover, creating floor plans in 3D or 2D, is an added advantage, as they are visually appealing and provide a better understanding of the basic floor plan. If you want floor plan conversions made by professional CAD experts, our team of highly skilled CAD professionals can create floor plans that are detailed and scaled from your drawings, photographs or existing outlines. 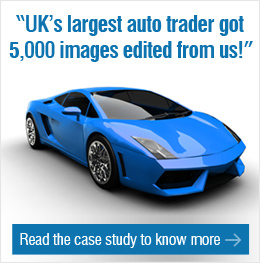 These are perfect to be used in marketing collaterals, print or online brochures and websites. We scale internal floor plans that can supplement your existing 360 virtual tours and can be incorporated online or in a print brochure. It provides all the necessary information your prospect wants to determine if the house is right for them, even before they see it in person. 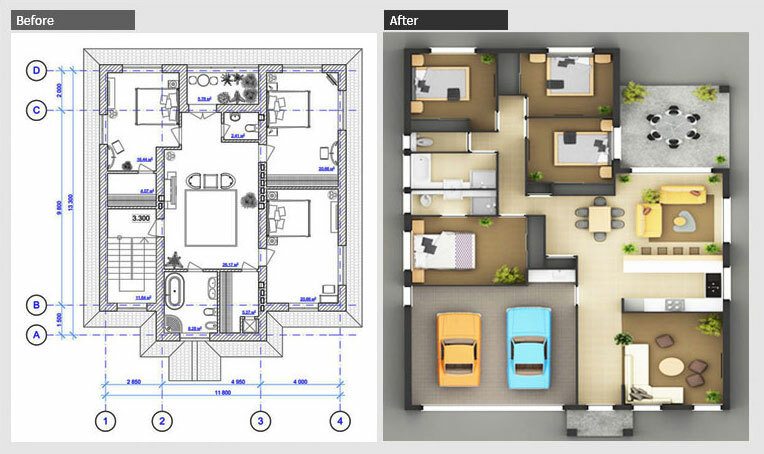 We can provide floor plan conversions in any of a number of formats including JPG, PDF and DWG. This allows you to use it for any desired media and start marketing your real estate projects right away. Our staff offers flexible 12 or 24 hour turnaround window. As a result, you have the low cost floor plans in your hand as soon as you need them for your print or web-based marketing campaigns. Contact us today to outsource floor plan conversions and start boosting your conversion rates both online and offline.